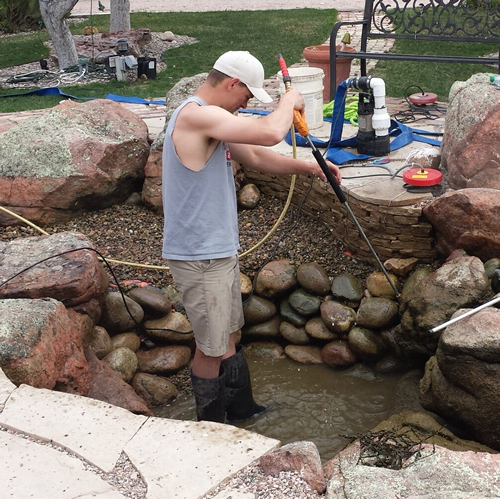 This 2014 project consists of a FountainFalls Water Feature and a small area of xeriscaping. Sod was first removed because of poor drainage. We then edged the area and excavated for the small pond-less water feature. 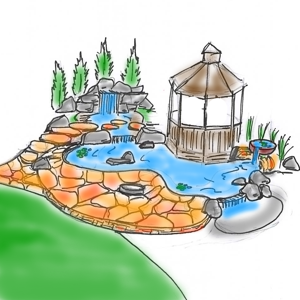 FountainFalls are small water features that we came up with around 2005. They are great in flat, small areas. 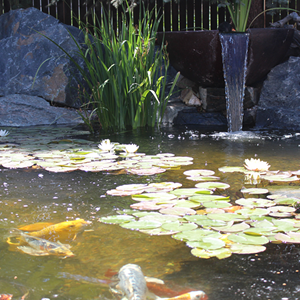 Water flows over one or two large boulders while dropping directly into a pond-less reservior. We can build them using either fractured granite boulders or large moss rock boulders.